Mary Ann Laymon's funeral service has been rescheduled due to weather. Please notice that the new date of her funeral is Tuesday, February 12. 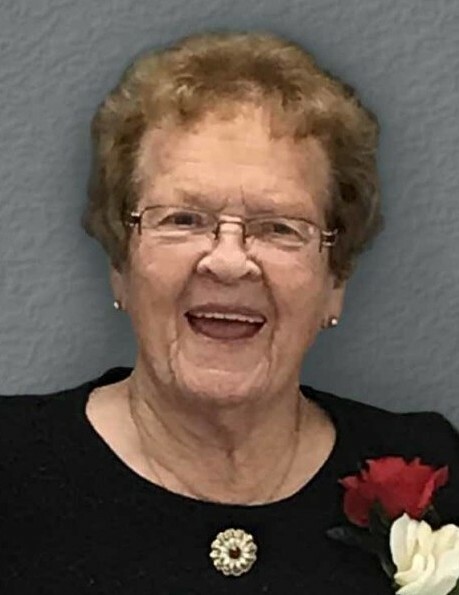 Mary Ann Laymon, 86, of Warren, MN, passed away on Tuesday morning, January 29, 2019 at North Star Manor in Warren. 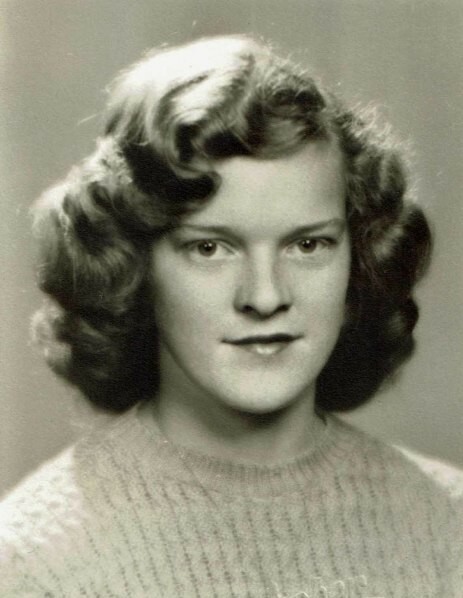 Mary Ann was born on July 24, 1932, in Warren, to Gordon and Emma (Sundby) Olson. The family homesteaded in rural Viking, MN, in 1941, Mary still attending school in Warren and riding in weekly with her Dad. She graduated from Warren High School and attended teacher's training before taking a job as a schoolhouse teacher in Comstock Township and, later, in Viking. As a newborn, Mary's family went to visit some friends, and she was “introduced” to a toddler, Larry Laymon. The two would remain close friends and eventually get married on June 30, 1956, in our Savior's Lutheran, Warren. The young couple made their home on a farm outside of Radium. Mary was an excellent farm wife, raising their two children, helping with all the chores, and running a painting business for some years; all of this on top of being active in innumerable activities and clubs in the area. She loved to sew and embroider and especially liked to visit with family and friends. Mary and Larry attended Immanuel Lutheran in Radium, and Zion Lutheran in Warren, before returning to their roots at Our Savior's. Larry passed away on February 9, 2014, after 57 years of marriage. Mary Ann is survived by her children, David Laymon of rural Warren, MN and Janelle (Jason) Fick of rural Viking, MN; three grandchildren, Elizabeth, Kaiden and Joseph Fick; brother, David (Jeanette) Olson of Yuma, AZ; brother-in-law, Maynard (JoAnn) Laymon of Warren, MN; and several nieces and nephews. In addition to her husband, Mary was was preceded in death by her parents; three grandchildren, Gordon Rueben, Emmalie Mary Ann, and Rachel Tiffany Fick; and two brothers, Richard “Red” and Ronald Olson. FUNERAL SERVICE: 10:30 AM on Tuesday, February 12, 2019 at Our Savior's Lutheran Church in Warren, MN. VISITATION: 5:00 – 7:00 PM on Monday, February 11, 2019 at DuBore Funeral Home in Warren and one hour before services at the church on Monday. INTERMENT: Greenwood Cemetery, Warren, MN.